The month got off to a disappointing start when I had to withdraw Bodyguard from the Nationals. Although all our preparation had been going really well, the Thursday before we were due to compete I took Bodyguard out hacking for a good few miles of hill work, mixed with some canter work which he totally loved. The following day he came out of his stable a little stiff, but did then seem to walk it off, however the next day he had a hock the size of a balloon. Although he was totally sound and full of energy, the decision was made to put him on antibiotics to reduce the inflammation and stop it going up or down his leg and because they were steroid-based for immediate effect, I had to make the horrible decision to withdraw from the Nationals because you cannot compete if your horse is on these drugs. What was even more annoying was that Rhett Bird came over the day before I should have been competing and because he was totally sound, we went through his test and he was a total star, well up for challenging a top ten place that I had been dreaming of. As they say ‘horses will be horses’ and these things just make you stronger, although at the time my tears maybe didn’t agree! The following weekend we were meant to be camping but the weather well and truly put a stop to that, too. Two nights in a muddy field with a tent and Annabelle didn’t really seem like fun, and as it was only 40 minutes away from home we decided that driving home at night to a comfy warm bed was the better option! It is our company year-end at the end of October, so for me, September and October are mainly spent snagging and doing handovers with the customers. This does take over my competing a little bit at this time of year but I have already booked my three stables for November’s show at Sheepgate. I am really looking forward to this show as I might finally bite the bullet and do an Inter 2 on Bodyguard and take Cleo for her first ever outing. Gary and I celebrated our second wedding anniversary this month, with a lovely meal out. I can’t believe it was two years ago and wish we could do it all over again! 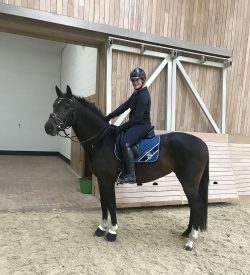 I have had some amazing lessons at Rhett’s regular clinics including with my two three-year-olds in preparation for their first outings in January. I have to say I can see me selling these two superstars as they are so laid back and I am just not used to it. I only tend to keep slightly quirky ones and both of these are so chilled, good to hack out, not spooky at all and even like to jump. 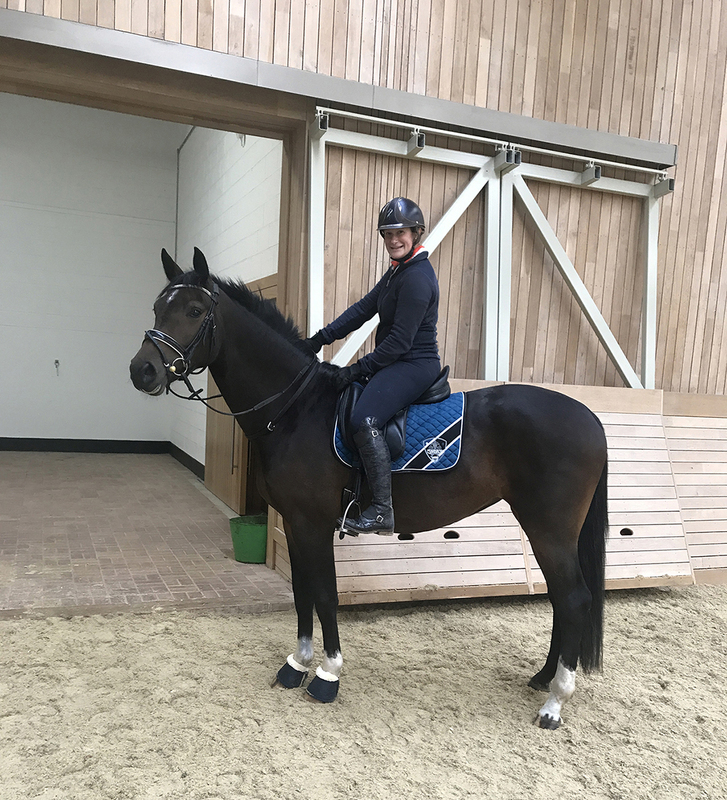 You never know… my eventing days might not be over! Jasmine is one of these three-year-olds and is by my own Cadans M. I now have three Cadans offspring in work and all of them have his stamp of a head which is lovely to see, as well as his fantastic movement. Next month I have some very exciting news that I can’t reveal just yet, so watch this space!